Melissa Balthazor is the owner of Round Rock Children’s Therapy Center. She was born and raised in Baileyville, Kansas. Melissa received her M.S. in Communication Sciences and Disorders, is ASHA certified, and holds a Texas license. Melissa has many years of experience providing treatment to the pediatric population in public school settings (both at the primary and secondary levels) and pediatric outpatient clinics. Areas of exposure include spectrum disorders (e.g., Autism, Pervasive Developmental Disorder, and Asperger’s Syndrome), Apraxia of Speech, Rett’s Syndrome, Down Syndrome, phonological disorders, fluency disorders (i.e., stuttering), cognitive deficits, cleft lip and palate, and other general speech, language, and oral motor delays. Additionally, she has attended numerous conferences and workshops to ensure that she is providing the most current methods of treatment to every client and has completed The Social Thinking Clinical Training Program Level 1-Assessment at Michelle Garcia Winner’s clinic in San Jose, CA, The Lindamood-Bell Phoneme Sequencing Program, and the SOS Approach to Feeding. In her free time, Melissa enjoys running, shopping, reading, traveling, gardening and spending time with her husband, Colt, and her two boys, Oliver and Charlie. Alex earned her M.S. in Speech-Language Pathology. Her passion is catering to pediatric clients with a wide range of communication disorders including: articulation, phonological, auditory processing, and developmental disorders. In addition, Alex has also worked with clients who have hearing impairments as well as those who use augmented and alternative communication (AAC). She is licensed by the state of Texas. Amy earned her Masters of Occupational Therapy in 2009 and has worked in the non-profit sector in conjunction with public schools to provide support for at-risk children. Additionally, she has experience working with both adults and children in hospitals, outpatient clinics, and home health. She best describes her practice philosophy as being sensory-motor based and child-driven. With a background in psychology and continued education credits in child development, sensory issues, and trauma, she also believes strongly in creating a safe and secure learning environment in which her clients can progress. She is NBCOT certified and is licensed by the state of Texas. Brandi received her Associate of Applied Science in Occupational Therapy and a B.A. in Applied Arts and Sciences. She is responsible for the day to day functionality of the clinic and also treats clients with ADHD, developmental delays, visual perceptual difficulties, handwriting, and behavior challenges. She is licensed by the state of Texas. Brittney graduated with a Bachelor’s of Science and a Master’s in Communication Disorders. Her clinical experience includes extensive experience in Early Childhood Intervention (birth-3) and a private clinic setting, with a wide range of ages from preschool to high school clients. Brittney’s professional experience includes autism, receptive-expressive language delay, early language acquisition, articulation and phonological disorders, social groups/pragmatics, literacy, and feeding. She is also trained in the Beckman Oral Motor Protocol. She loves making a difference in people’s lives and working with all age ranges. Brittney is driven by the belief that everyone deserves to have a voice and to communicate in a meaningful way. She is ASHA certified and holds a Texas license. Caroline earned her M.A. in Speech Language Pathology. Her clinical experience has involved working with pediatric clients with various communication disorders including articulation, phonological, auditory processing, fluency disorders, and other language delays. Caroline has experience working with nonverbal children who use augmentative and alternative communication devices(AAC) including PECS, Talktablet, and Tobbi Dynavox(Communicator 5). She is licensed by the state of Texas. Courtney earned a B.A. of Business and a B.A. of Science in Communication Disorders. She brings her experience in both large corporations and private practice to efficiently manage and execute the clinic’s HR affairs, credentialing, contracting, and marketing initiatives. Additionally, she has years of clinical experience as a pediatric SLPA and is licensed by the state of Texas. Danya earned her M.S. in Speech Language Pathology and has extensive experience treating a variety of children with different diagnosis that include: spectrum disorders (ie: Autism, Pervasive Developmental Disorder, and Asperger’s syndrome) Apraxia of Speech, phonological and fluency disorders, cognitive deficits, accent modifications and other delays. She also leads therapy sessions for social thinking groups of all ages that include training through Social Thinking Curriculum by Michelle Garcia Winner. She utilizes the Sequential Oral Sensory (SOS) approach program for problematic feeding behaviors to address feeding challenges with clients. She is ASHA certified and holds a Texas license. Diane was born in the North West of England and has been in America since 2013. She has three children and has volunteered consistently at their primary school. She loves being around children and believes they should be treated with grace and a nurturing hand to become the best they can possibly be. Lauren holds a BA in psychology and has over seven years experience working with children and adolescents with special needs, including those on the autism spectrum. She has worked with both low and high functioning clients and has utilized augmentative and alternative communication options such as lamp, Proloque, PECS, and letter boards to further their skills as needed. Lauren is credentialed as a RBT in the state of Texas. Misty received her M.A. in Special Education with an emphasis in Applied Behavior Analysis. She also received a certificate in Autism Intervention and is Board Certified as a Behavior Analyst. She has been serving individuals with developmental disabilities for over 20 years teaching functional communication skills and is licensed by the state of Texas. 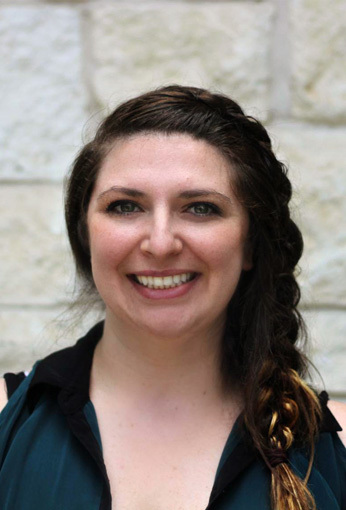 She is a member of the Association of Professional Behavior Analysts, Association for Behavior Analysis International, and the state Texas chapter (TexABA). Additionally, she has presented evidence-based research at several conferences. Phoebe earned her degree in Speech, Language, and Hearing Sciences and enjoys serving children in the area of Applied Behavior Analysis. She has been working with children who have developmental delays since 2014 and is passionate about helping them achieve their full potential. Through her education and experience, she has come to believe that early intervention, in particular, is crucial to a child’s development and the sooner a child receives therapy and education, the greater their progress. Phoebe is credentialed as a RBT in the state of Texas. Tim attained his B.S. in Psychology with a minor in Cognitive Science. He has worked with both geriatric and pediatric populations to improve the lives of individuals and their families. He is trained in Applied Behavior Analysis and utilizes this systematic approach to learning during therapy. Tim is credentialed as a RBT in the state of Texas. Una graduated with an M.A. in Occupational Therapy. She has extensive experience treating children with motor and perceptual delays, developmental delays, and sensory processing disorders. She is also a member of AOTA and has specialized training in Handwriting Without Tears, Therapeutic Listening, Beckman Oral Motor, and SOS Approach to Feeding-Advanced Feeding Courses. She is NBCOT certified and is licensed by the state of Texas.